participants can mimic or draw inspiration from. federal elected officials in your posts. 1. Tell Members of Congress why federal education funding is important to you. 2. 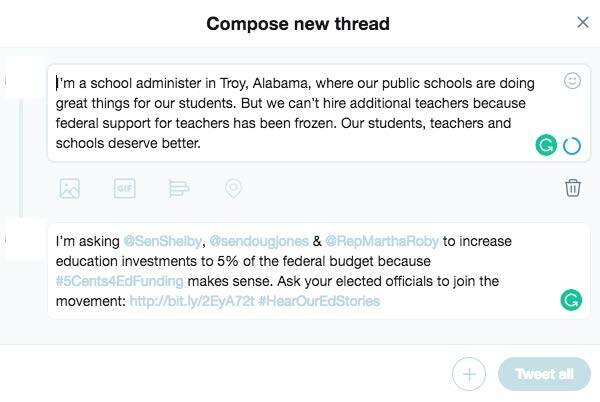 Ask them to increase federal investments in education. 3. Support the education community – teachers, administrators, parents, students, etc. – in telling their stories. call to action for our “#5Cents4EdFunding” campaign. mobilize grassroots support to advocate for vital investments in education. “#HearOurEdStories” and your needs loud and clear. 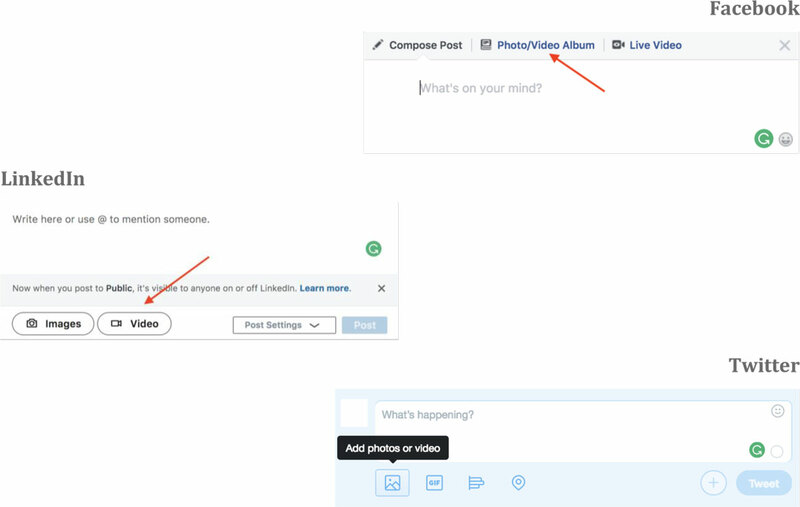 sections give you the tools to share your personal story in a meaningful way. story you post on your social media account. a. Practice telling your story aloud a few times. b. Find somewhere quiet to record your story. Pro tip: Whether you’re inside or outside, try not to record your story with the sun or a bright light behind your back. c. Record yourself telling your story! Feel free to personalize your video with a colorful background, props like books or a calculator, and humor. This is your story, so feel free to be yourself! newsfeed. Below are screenshots to help you find the video upload button. After you upload your video or story, write a supplementary post to accompany it. The post you share with your video or written narrative is very important. find your elected officials’ handles on this website. link to this letter in your posts. Press share, post or tweet to send your story out to the world! tweet. To thread a message, you need to press the + in blue to complete the post. Below is an example of how to do that. Click the blue button the arrow is pointing to. Separate the tweets as you see fit and click “Tweet all” to post. If you aren’t sure who your Senators and Representative are, you can find that information on this website. The search result on this website will also provide you with most elected officials’ Twitter handles. The U.S. requires that all students with disabilities have access to a free, appropriate public education.